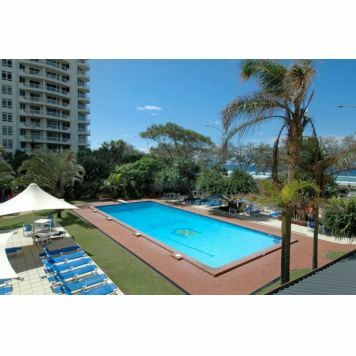 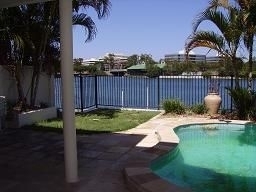 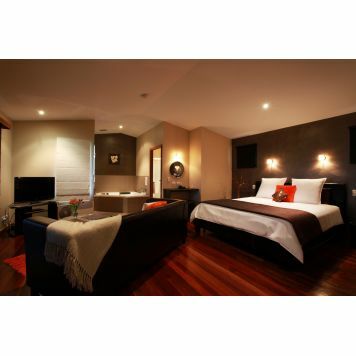 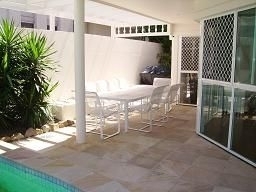 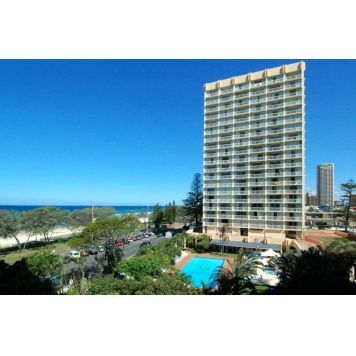 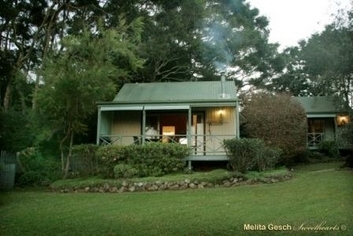 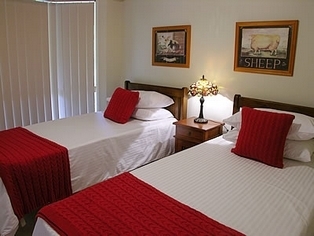 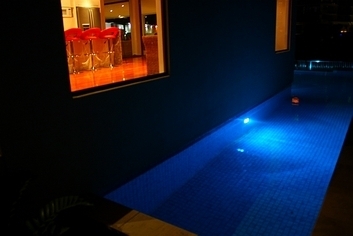 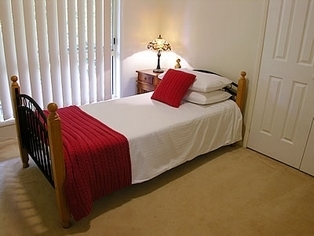 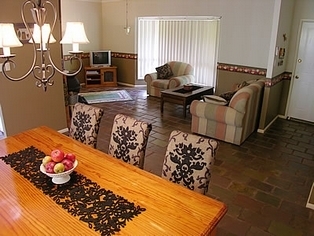 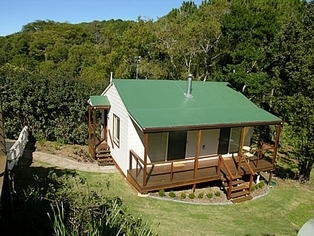 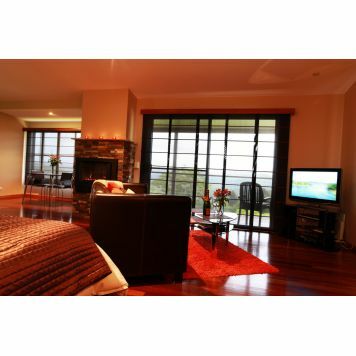 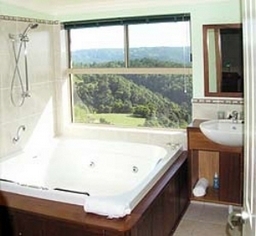 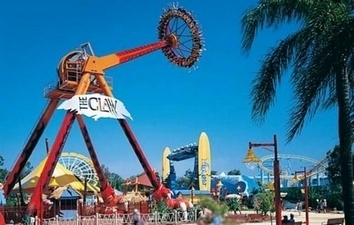 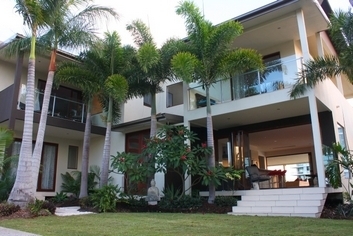 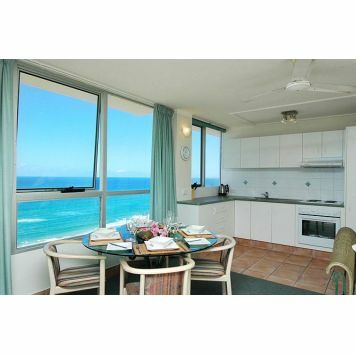 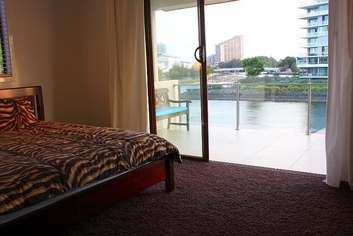 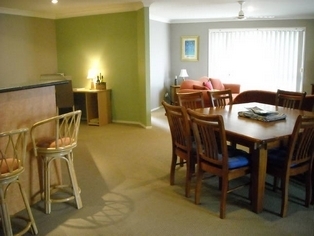 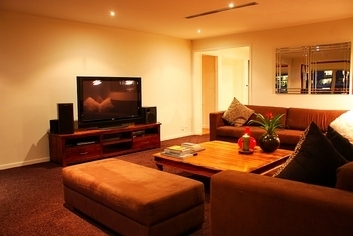 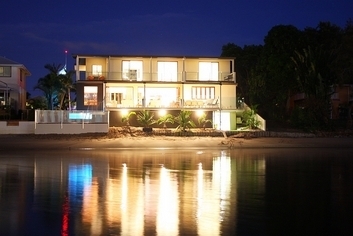 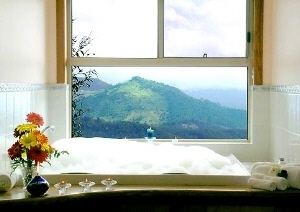 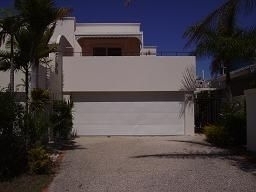 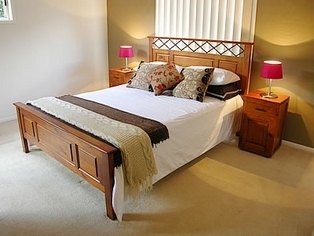 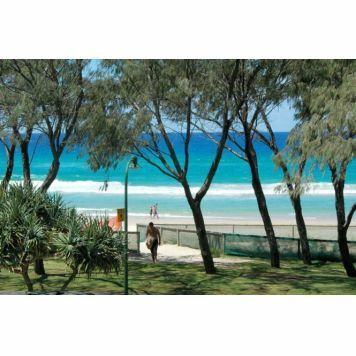 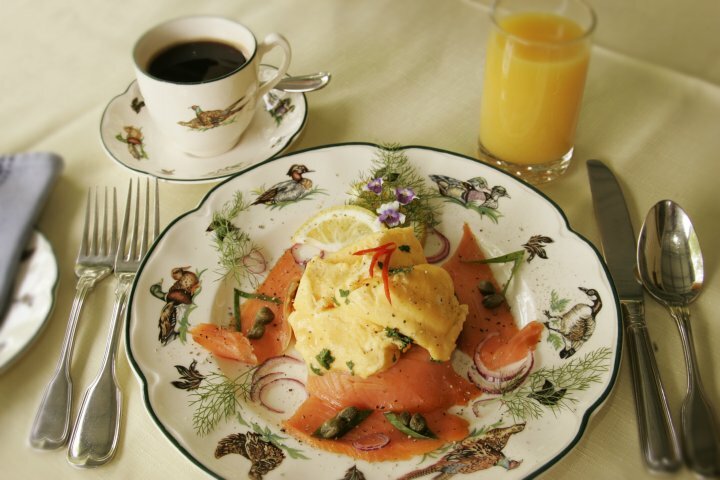 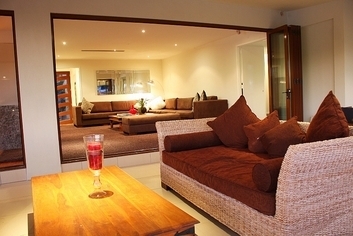 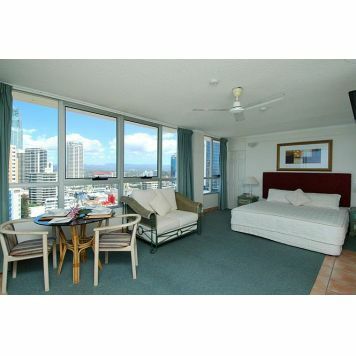 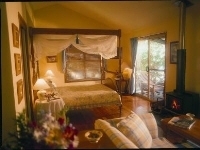 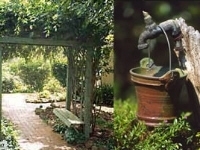 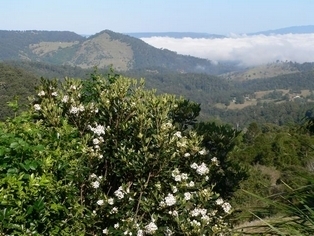 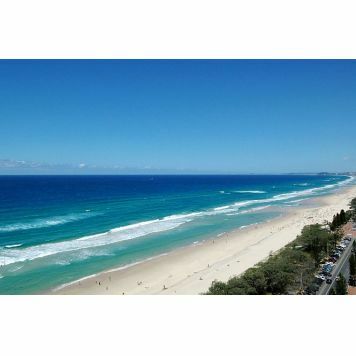 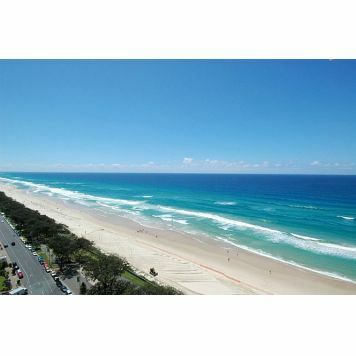 First Class Escape Maleny Accommodation for two. 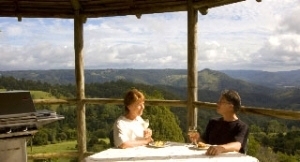 Perched high on an escarpment, looking down the valleys and up to the beautiful mountain peaks, Blue Summit Cottages, situated eight kilometres west of Maleny in the Sunshine Coast Hinterland, will take your breath away! 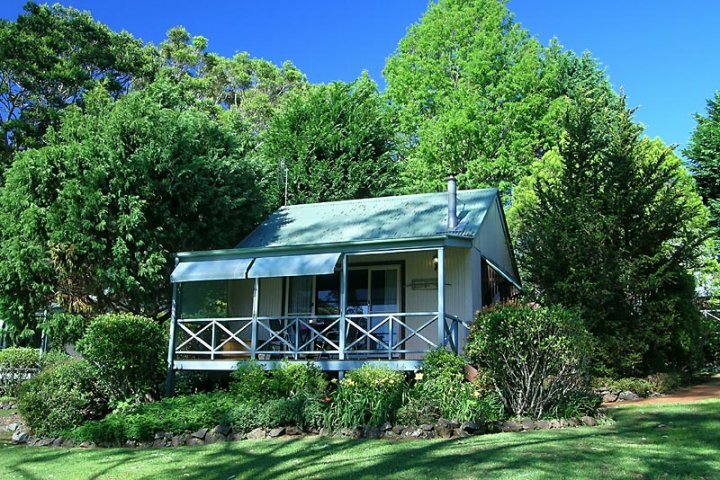 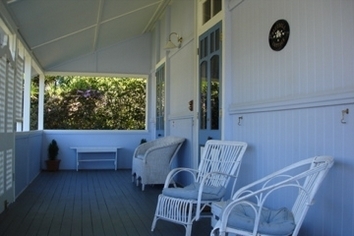 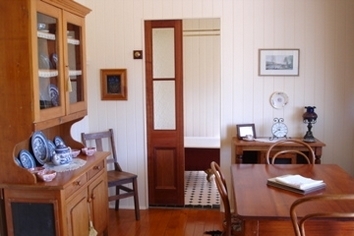 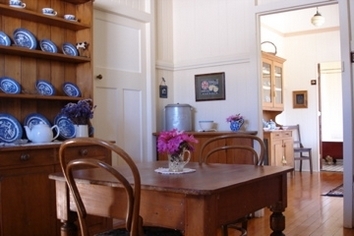 Bluebell Cottage is a beautiful restored two bedroom self contained workers cottage which is situated in the Sunshine Coast Hinterland Village of Maleny. 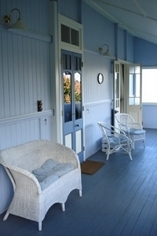 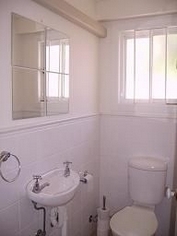 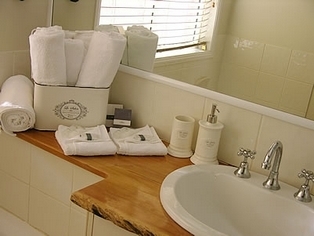 The cottage was originally built in 1920 and has retained all the original features including a claw foot bath. 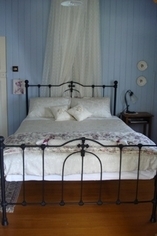 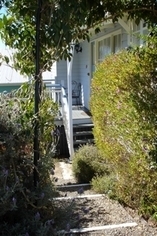 The cottage is fully self contained with 2 bedrooms, main with queen size bed and the 2nd bedroom with a double bed. 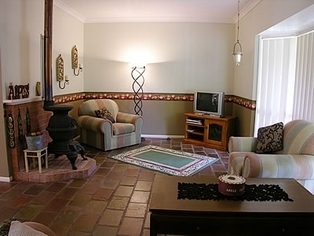 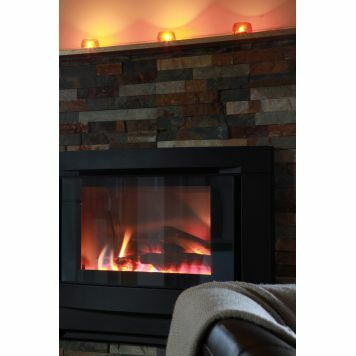 The cosy lounge has a TV and DVD player and also has a reverse cycle air conditioner and a cast iron fan heater. 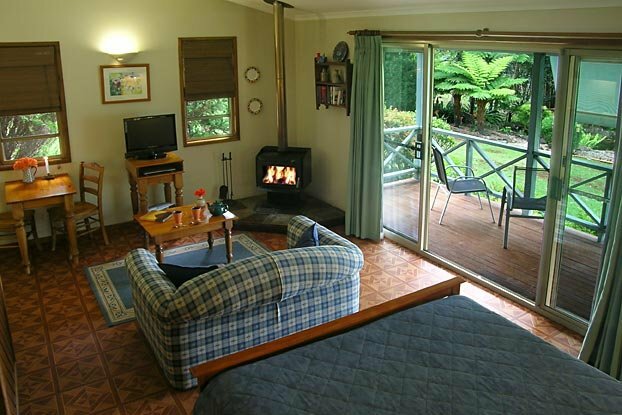 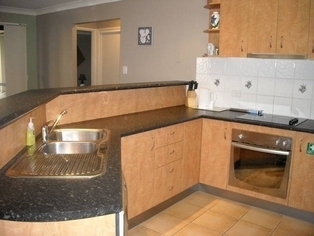 The kitchen offers everything you need with stove, microwave and fridge and the laundry has a washing machine, dryer and iron/board. 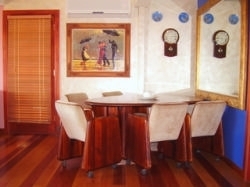 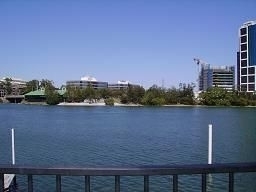 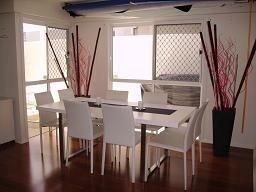 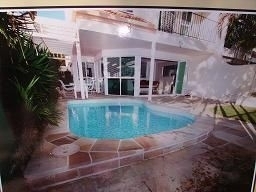 The dining room seats 4 people and the large front deck is a great place to relax and unwind. 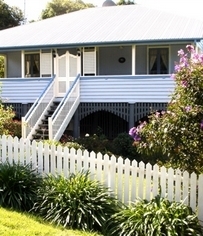 The cottage is situated in a quiet street just around the corner from the main street of Maleny and is a beautiful place for couples to escape and unwind in a romantic and idealic setting.